We associate steel doors with commercial buildings rather than residential homes however, they are becoming popular with homeowners. Customers are beginning to see the benefits of installing a steel door. The Steel Door Advantage has the perfect mix of security, energy efficiency and of course appearance. Southern Front Doors has an incredible inventory of steel doors and we had to put our order in due to supply and demand. Patented thermal-break design around all four door edges which prevents summer heat or winter cold entering the home. 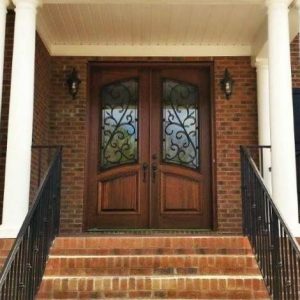 Southern Front Door customers can customize their Steel Door Advantage to fit the aesthetic of your home. Your home’s curb appeal will stand out with the right design. One benefit of a steel door is that the rich appearance can create additional architectural interest. Looks is not the only benefit steel doors offer homeowners let’s not forget about the energy efficiency and the cost-effectiveness. The patented thermal-break design prevents summer heat or winter cold from flooding your home. Houstonians know all too well about the inconsistent weather so this without a doubt, is beneficial to all homeowners in and around the Houston area. 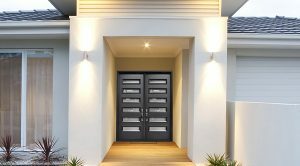 The Steel Door Advantage from Southern Front Doors enhances their cost-effectiveness due to the savings coming to you from energy and gas bills. Above all, steel doors are easier to maintain thanks to their durability and strength. The Steel Door Advantage from Southern Front Doors is built with 18-gauge dent resistant and kick-proof steel. This enhances the durability of the product. The built-in composite threshold prevents warping and rotting as a result, this extends the life of your door. The manufacturer backs the durability of these steel doors with extensive warranties which at the end of the day should give you peace of mind. You are the customer, therefore, as the company that you have gambled on, we can guarantee great prices, outstanding customer service and most of all, a commitment to quality. 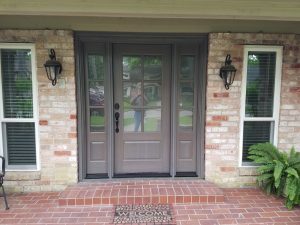 There are endless companies that exist in and around the Houston area, no company will perform like Southern Front Doors with their Steel Door Advantage. You have to see it to believe it. We have a massive showroom just for our clients and we invite you out to browse around. You will not have to battle annoying salespeople, all you have to do is imagine what your home would look like with a Southern Front Door. Head on over to 11234 Jones Road West Suite B Houston, Texas 77065. If you need to call us then by all means, (281)890-5680. Click here to go straight to our website. Treat yourself to better curb appeal.